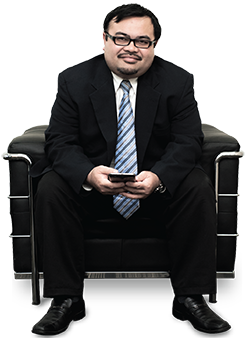 Tuan Haji Amir Suhaimi was appointed Chief Operating Officer of POS DIGICERT on 5 September 2012. He joined POS DIGICERT as a Project Manager was part of the pioneer team that set-up POS DIGICERT as Malaysia’s first licensed Certification Authority in 1998. Prior to that, he has started his career with Time Telekom Sdn Bhd and later joined Urusdaftar Automotif Berkomputer Sdn Bhd (a subsidiary of DRB-Hicom). Tuan Haji Amir Suhaimi graduated from Universiti Teknologi MARA Shah Alam in 1995, holds a Bachelor of Business Administrations (Marketing) and Diploma in Computer Science from the same university in 1991. He has a proven track record of success, and has the skills and passion to advance POS DIGICERT into a premier Electronic Identity provider in the region. He was responsible of overall Public Key Infrastruture (PKI) project implementation for key accounts such as Commerce Dot Com ePerolehan, CIMB Biz Channel, GITN Registration Authority for eGovernment Applications, Biro Pengawalan Farmaseutikal Kebangsaan and Lembaga Hasil Dalam Negeri Malaysia (LHDNM’s) eFiling. He also provided direction to POS DIGICERT’s Business Operations in line with the regulatory requirement set forth by the Malaysian Communication and Multimedia Commission (MCMC) as in Digital Signature Act 1997 and Digital Signature Regulation 1998. He holds other various portfolios throughout his career with POS DIGICERT among others Vice President – Business Process & Regulatory, Vice President – Business Operations and Chief Compliance Officer. His experience comes with his active involvement in projects such as PKI Implementation in key eGovernment flagship applications, system integration and POS DIGICERT business strategic planning. He also spearheaded various teams responsible for implementing key strategic and compliance initiatives and during his tenure, POS DIGICERT has obtained international recognition as in Webtrust for Certification Authorities, ISO 9001:2008 Quality Management Systems (QMS) and ISO 27001:2013 Information Security Management Systems (ISMS). Ms Rahmayati holds a degree in Computer Science from the University Science of Malaysia (USM). She is a Certified Project Management Professional (PMP) and a member of the Project Management Institute (PMI). She has more than 15 years of experience in managing and implementing ICT services, systems and solutions, primarily in the Public Key Infrastructure (PKI) environment. Her extensive project management experience includes managing turnkey projects such as POS DIGICERT’s New PKI Key Management Center (KMC), PKI Software & Services for the Government Financial and Management Accounting System (GFMAS) as well as Pos Malaysia’s Integrated Production and Planning System for mail processing at the National Mail and Parcel Hub (NMPH). 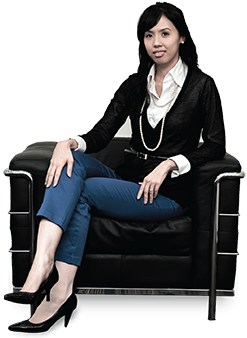 Currently, she is leading the e-Filing Project for Lembaga Hasil Dalam Negeri Malaysia (LHDNM’s) and the NextGen PKI e-Perolehan for the Ministry of Finance (MOF). Mr. Jumairie Ismadi holds a degree in Computer Science and joined the workforce upon graduation as an EDI Consultant with EDI Malaysia Sdn Bhd – involved in the development and implementation of Electronic Data Interchange (EDI) standards for various projects in both private and public sectors. He then moved on to become an Application Engineer in the Research and Development Lab Projects undertaken by MIMOS in 1998. As part of the team which successfully created security products in MIMOS which was widely used in government agencies as well as in financial sectors, Mr. Jumairie was at the helm of setting up and implementing Customer Service, Registration Authority (RA), Procurement & Production of the iVEST business unit. His tasks include QA, Implementation of RA, Customer Support and SOP Development. He joined POS DIGICERT in July 2008 as the Head of Department for Customer Care and Production, and currently as the Head of Corporate Strategy of POS DIGICERT. Mr. Mohammad Fisal Ebrahim is a results-focused and innovative leader offering more than 17 years of experience on achieving exceptional result in government and private sectors that demand continuous improvement. Mohammad Fisal is an experienced personnel in organisation and personal management, financial knowledge and excellent in strategic communication. 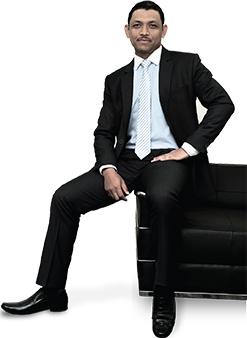 He possesses Senior-level leadership for start-up, early-stage growth and expanded operations. Mohammad Fisal is very capable of incorporating innovative techniques (systems, processes and procedures) to enhance business practices, increase productivity and boost services. He is a talent for forging strong relationships with key-decision makers, other managers and alliances. Fisal has an in-depth programme management experience from conception to the implementation through team development and leadership skills. He is at ease with budget limitations, deadlines and high pressure situations. Fisal possesses strong ability to influence thinking, forge strategic partners/alliances and build consensus. 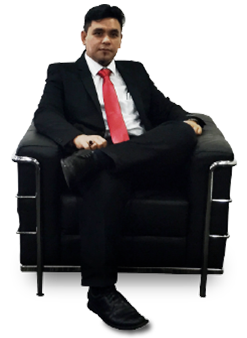 Mr. Mohd Saiful Abdul Wahab has more than 18 years of experience in Software Development implementation. He graduated from Universiti Teknologi Malaysia (UTM) in 1995, holds a degree in Computer Science majoring Industrial Computing and Software Application. He started his career as a Design Engineer (Software) with Prestigious Discovery Sdn Bhd, focusing on Supervisory, Control and Data Acquisition (SCADA) and real-time application. During his tenure, he has involves in various project such as Tenaga Nasional Berhad (TNB), Telekom Malaysia, ABB, Elektropriveda Bosnia Herzegovina and with United Nation. He then expend his knowledge in mobile application by joining a Glasgow based company, Picsel (M) Sdn Bhd. 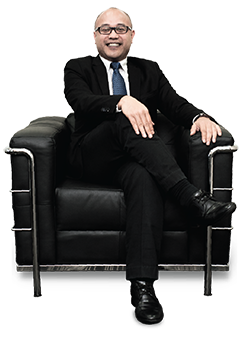 He then moved on to work with Haynik Holding Sdn Bhd as Technology Director in 2010. Since he has vast experience in software development, POS DIGICERT has appointed him as Head of Product & Solution Department to spearhead the software development team. Ms Musliza holds a Bachelor of Science (Computer Science) from University of Missouri, USA. She was appointed Strategic Initiative Manager in Oct 2012, leads strategic program efforts such as Enterprise Risk Management, Quality and Continual Improvement Program in the company. Prior to her current appointment, she started her career at POS DIGICERT as System & Network Administrator, and climbed her way up to Technical Support Manager and subsequently as CA Operations Manager. With more than 15 years of working experience and vast knowledge in PKI and CA, Ms Musliza has brought significant transformation to the company. A certified ISO 27001:2013 Lead Auditor and ITIL V3; she was instrumental in setting up POS DIGICERT as Malaysia’s first licensed Certification Authority in 1998. 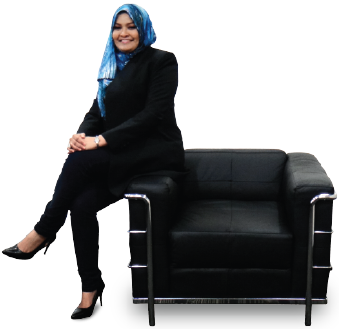 Since joining POS DIGICERT in 1998, she had been involved with numerous turnkey PKI projects; Technical Implementation Lead for Biro Pengawalan Farmaseutikal Kebangsaan (BPFK), Solution Team Lead for eFiling – Lembaga Hasil Dalam Negeri Malaysia (LHDNM), Technical Consultant in MAMPU’s eGoverment X.500 services and CIMB BizChannel, and last but not least as Project Manager in e-Passport - Jabatan Imigresen Malaysia. Her latest significant achievement is ensuring POS DIGICERT certified as ISO 27001:2013 compliance in October 2014. Mr. Ahmad Ajwadi Hashim holds a Bachelor Degree in Accountancy from the MARA Institute of Technology (UiTM), a member of Chartered Institute of Management Accountant (CIMA), a Chartered Accountant and a fellow member with Malaysia Institute of Accountant (MIA). He has over 12 years of accounting and financial experience in handling and managing statutory financial reporting, auditing and streamlining business processes from various industries such as oil and gas, plantation and IT. He begin his career in 2000 as an Accounts Associate in Shell Shared Service Centre (wholly owned subsidiary of Shell International BV, Netherland). Prior to joining Felda Travel Sdn Bhd (subsidiary of Felda Global Holdings Bhd) as a Finance Manager in 2010, he was an accountant with Felda Security Services Sdn Bhd handling financial reporting and treasury activities since 2006. He joined POS DIGICERT Sdn Bhd in 2012 as a Head of Finance, Procurement & Administration Division, responsible to the overall finance and accounts of POS DIGICERT Sdn Bhd and overseeing the overall procurement and administration activities. He has been instrumental in establishing the overall activities of the division.